Amazon today has slashed prices on thousands of items including electronics, entertainment, home and kitchen, clothing and more, in its first ever Amazon Prime Day deal specials. Some of the deals are indeed worth shelling out the $99 annual fee to become a Prime member. New deals are being added as often as every 10 minutes throughout the day.Some notable deals announced so far include 40% off electronics, such as a 40-inch LED TV for $115, a Chromebook laptop for $199, and a Kindle Fire for $49. Select clothing, shoes, jewelry and watches are being offered at 30% off. A Char-griller gas grill is 47% off for $148. Additionally, in an effort to promote Prime Day, Amazon is featuring sweepstakes and giveaways. Listening to any song on Prime Music today gives you a chance to win up to $25,000. Amazon is also giving away an all-expense paid trip to see the season two premier of Transparency. Rival Wal-Mart is featuring "Value Deals of the Day," such as a Sony Baby Monitor for $20, reduced from $69.98. Among the thousands of new Wal-Mart rollbacks are a three-piece bistro set patio set reduced to $79 from $129, an RCA 20" LE HDTV for $109, and an Shark Easy Spray Vacuum more than half-off at $20. 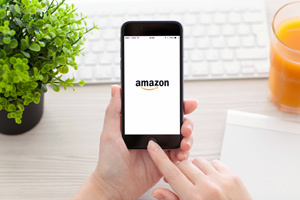 You see, Amazon.com Inc. (Nasdaq: AMZN) debuts its first-ever "Prime Day" on July 15. The 24-hour sale-a-thon from America's largest online retailer promises to offer "more deals than Black Friday." "Prime members can shop exclusive deals from electronics, toys, video games, movies, clothing, patio, lawn and garden, sports and outdoor items, and more," Amazon's site reads. "Try Prime and get immediate access to deals on July 15."